All photos by Stephanie Kaloi. Lately Ariel likes to issue Offbeat Home challenges to both readers of the site and staff members of the Empire. 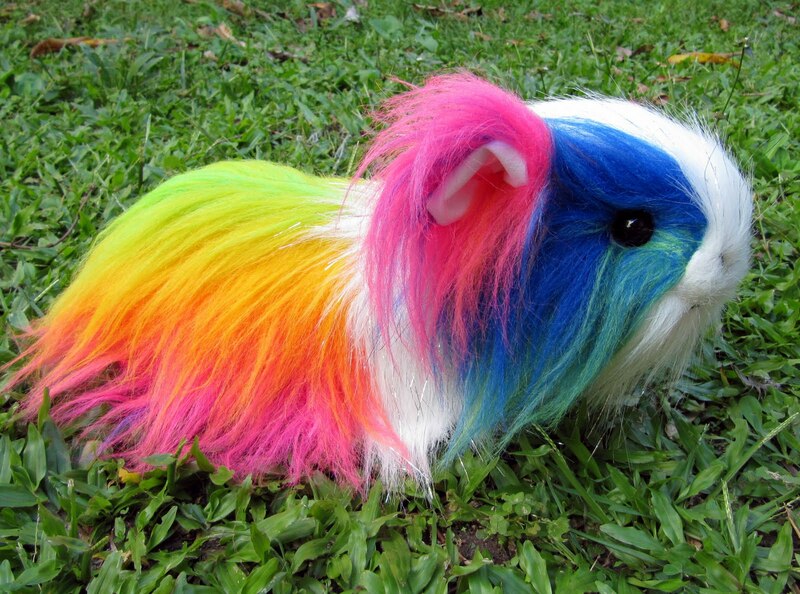 She put out a call for a "DIY guinea pig" — and if you're like me (or Copy Editor Caroline, Ad Manager Kathleen, or Tribe Community Manager Kirsten), you immediately assumed she meant you'd be making your own guinea pig, right? WRONG. INSTEAD she wanted someone to make super pretty leaf art, à la this pin on Pinterest. The problem with the original pin is that it's totally detail-less — when you go to the source there's nothing. I volunteered to attempt this (ugly DIY history and all), and basically made up my own rules based on what I think is happening in the pin. Leaves! I walked around my apartment complex and gathered some that I liked. I started out by just squirting paint directly onto the canvas and then using the brush to apply it. It worked! The original instructions weren't very detailed, so I kind of winged this. After putting the leaf face-down I painted the side of the leaf that was facing me so that the entire thing was blue (or whichever color I was using at the time). As I mentioned, I live in an apartment complex and I was totally not sure where I should go to try to spray paint something — or four somethings. I found a kind of secluded area and spray painted the entire thing — leaf and all — until it was covered. I took this photo in the middle of the day so the light is pretty harsh, but you can see the blue leaf on top of the silver paint, yeah? Oh, and if you're still holding out for that guinea pig… here you go. What are your favorite offbeat cookbooks? Very cute! How did you get that realistic texture throughout the pink one? The other ones look more opaque where the leaf masked the canvas. You know, I did them all the same way exactly. Maybe the luck of the leaf? It was much easier lay that one down and paint over it because it was already pretty flat. I just re-read the instructions and saw that you put the leaf on the wet paint. I bet that's what helped the cool texture. I'm thinking that I would have let the base color dry and then just put the leaf down and spray over it. Also, it keeps the leaf in place. I'd be worried that the leaf would fly away if I tried to spray paint over it unanchored like that. The third picture in the original pin is of spray adhesive and the leaf–that's how it's kept from flying away. I've used it for stenciling in the past. That rainbow guinea pig totally looks like a baby bantha. These are really pretty, and could be great decoration for a nature themed nursery. I would try this with more earthy colors like forest green, brown, navy blue, maroon, and then use a gold for the shiny paint. Nice DIY! None of the relevant images seem to be pinnable. Yeah, I noticed that immediately too and emailed Stephanie about the issue about an hour ago. 🙂 There should be one image you can pin now, with more coming soon. I just let me 6 year old do this with red and blue spray paint and an old cutting board I was about to toss out. He did all the work and it turned out better than I thought it would! Great idea. It's perfect for one of the many empty walls in my home! Can't wait to get to the craft store and get my supplies.